The craft of farriery seems to go all the way back to the Celts who were protecting the feet of their horses with nailed-on shoes. 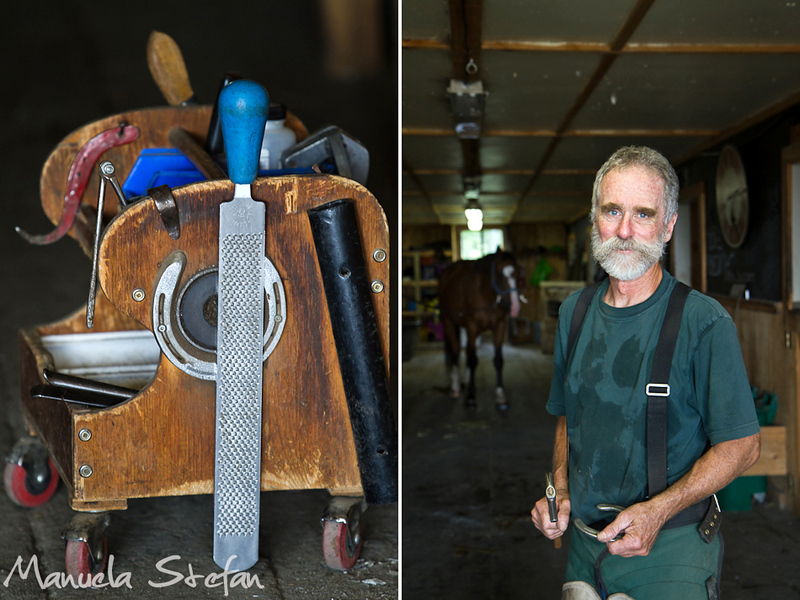 Although their jobs have changed over the years, one thing remains the same: farriers are an irreplaceable part of the domestic life of the horse. A few days ago I met Bob Bartlett and that was one memorable encounter. 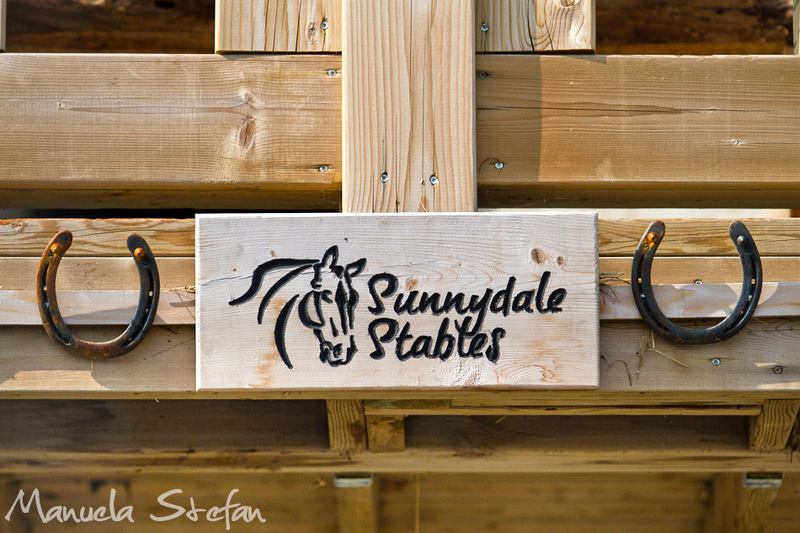 While at the Sunnydale Stables in North Bay to photograph three beautiful Friesians, someone told me: the farrier is here. I felt compelled to witness what was going on with a few horses up for a shoe upgrade. I approached Bob somewhat timidly as I truly did not want to intrude. I have never had the chance to see a farrier at work but have always had an appreciation for these brave ‘behind the scenes’ men who greatly contribute to the horses’ well being. These people hold magical skills. Bob kindly started to talk and I learned so much that afternoon. A previous high school teacher, he felt he had to turn his passion for horses into a full time career so here he was, doing so much good to these animals. 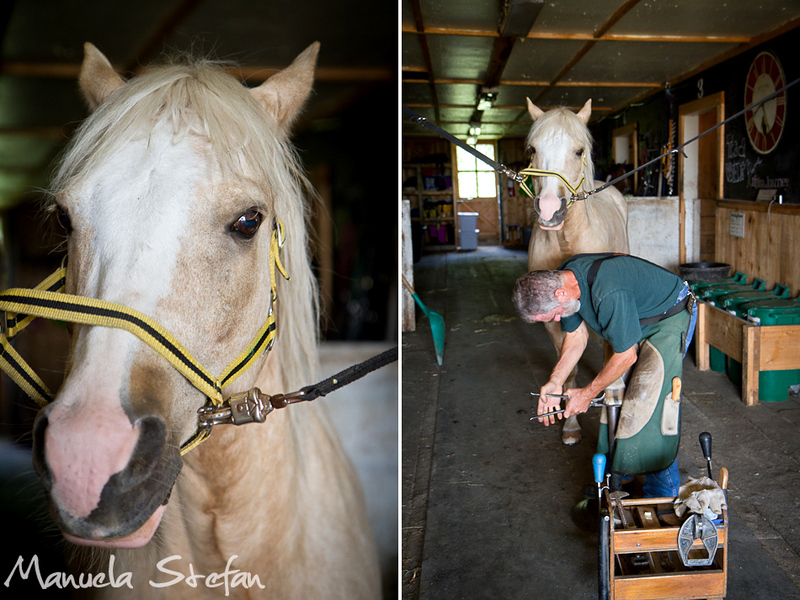 I asked him if he ever got tired of what, to many, may look like routine: fixing shoes on horses’ hoofs. But no he said, every horse is different and he can tell so much about their lives just by looking at their legs and feet: each animal has their unique story and he is there to understand and do his best to assist them. He is, in his own right, a horse whisperer. These majestic beings trust him so much to the point where they allow him to hold their legs for extended periods of time. Some may be difficult but I am sure they somehow sense Bob’s pure intentions and in the end, they allow him to do what he is meant to do. As Bob was hammering nails into the animals’ feet, I got knots in my stomach at the sound of it all. But the horses were not even blinking, they were just standing there looking straight ahead almost in a meditative state. We can’t underestimate a horse’s knowing. Approached with love and an honest desire to assist the best way we can, they respond in a peaceful, dignified manner. In the end, we are here with each other and for each other. Bob works with a lot of heart. ‘If I have a bad day’ he says, ‘I prefer not to do this. Because horses can sense how I feel. I can’t rush in this job.’ He takes his time, he is meticulous. He cares. What he does is a form of art. I am grateful for this unexpected experience. I dedicate this blog to a real gentleman who touches a lot of lives in his quiet and unassuming way. A wonderful and knowledgeable man. 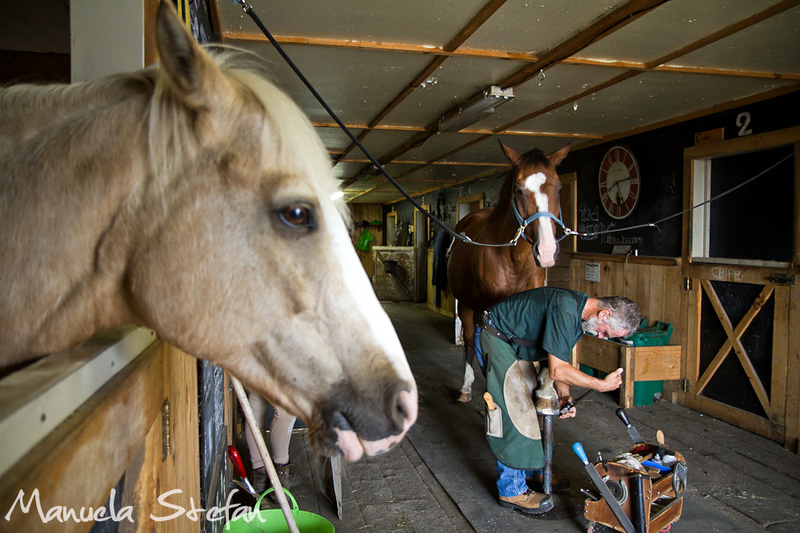 Bob was my horses’ farrier as long as I had them…..and he was ALWAYS on time! A wonderful story and great photos. Bob and I were at university and travelled to Australia together in the late 60s. Unfortunately we lost contact over the years after I moved to Australia permanently. It was a delight to discover him on your website and see that he is doing such marvellous work as a farrier. What a great story. I have known Bob for many years both when he was teaching secondary school & as a farrier. He has been my farrier for as long as he has been a farrier. I don’t trust my beloved horses’ hoof care to anyone else.